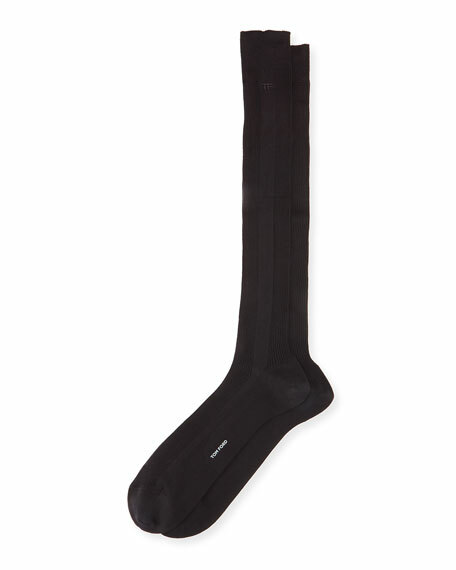 Tom Ford ribbed dress socks. Banded cuff to prevent slipping. Embroidered "TF" logo at top.